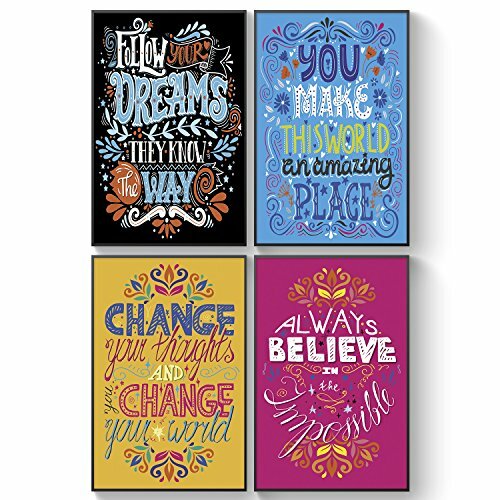 Shareable Posters An Unusual Friendship Gift, Set of FOUR 11X17 Inspirational, Inspiring & Motivational Phrases, Men and Women Inspiring Gifts, Wall Art, Educational Poster. Famous Sayings For Kids. If you have any questions about this product by Pillow & Toast, contact us by completing and submitting the form below. If you are looking for a specif part number, please include it with your message. Wall Art Moon Sea Ocean Landscape Picture Canvas Wall Art Print Paintings Modern Artwork for Living Room Wall Decor and Home Décor Framed Ready to Hang,2cm Thick Frame, Waterproof Artwork.